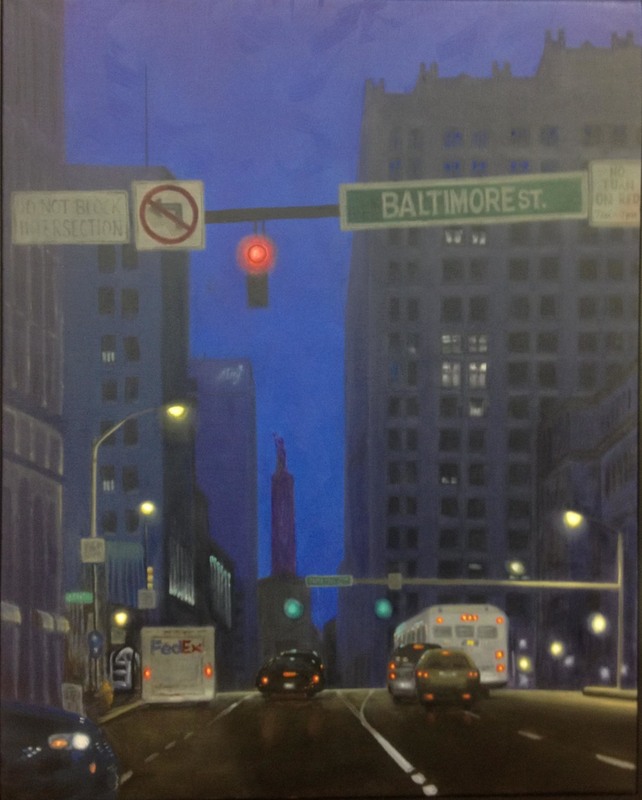 A night time view looking northward on Calvert Street in Baltimore, Maryland. The monument is a commemoration of the Battle of North Point, during the War of 1812. 20" x 16". Oil on canvas.